This 4-hour authentic Harlem gospel and brunch walking tour starts with a leisure stroll along 125th Street and the Mount Morris Historic District taking in the sights of New York’s finest 19th and 20th-century architecture. 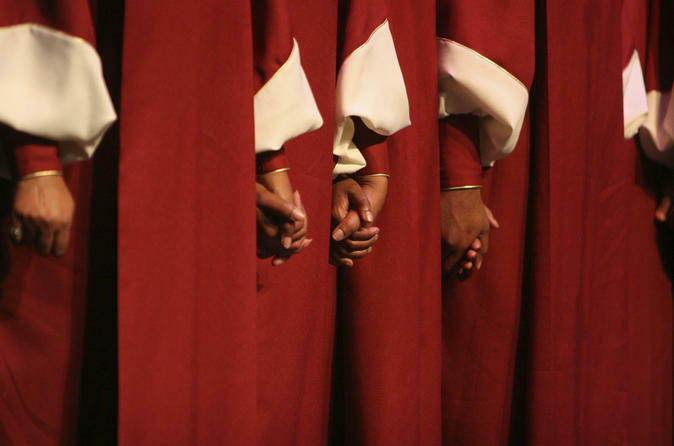 Attend a local church to hear and enjoy the sights and sounds of Harlem at its best. Toe-clapping, foot-stomping, and the soulful rhythms of gospel music fill the air. Conclude this experience with brunch at one of Harlem’s excellent restaurants. This 4-hour tour first leads you through Mount Morris Park Historical District area where you will find a multitude of churches rich with history - including some of the homes of America's Founding Fathers. Some of the most well-known musicians and entertainers started their journeys here and much of the music that began here is now immortalized in American Pop Culture for future generations to enjoy. Heading through uptown on a Sunday morning you will hear and enjoy the sights and sounds of Harlem at its best. Toe-clapping, foot-stomping, and the soulful rhythms of gospel music fill the air; participate in sermons and homilies and celebrate with the world famous congregational choirs of the Convent Avenue Baptist Church, United House of Prayer, Abyssinian Baptist Church and the Roman Catholic Church of the Resurrection, whose renowned singers will have you jumping in your seat. Now that you have the feel of the spiritual energy flowing through you how about topping off your day with some of the area's best-kept secrets? Fine dining at reasonable prices! Let Harlem's finest culinary masters delight and tempt you with their authentic delights - just for you!